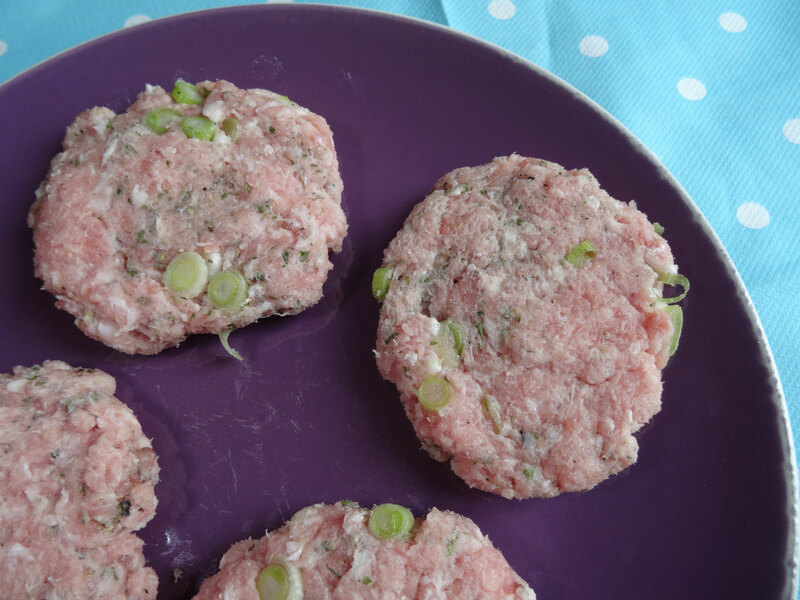 These tasty, herby pork patties are really simple to make & you can easily double up if you have a crowd to feed! For the sub rolls I went to Greggs where you can get 4 good sized rolls for just £1! 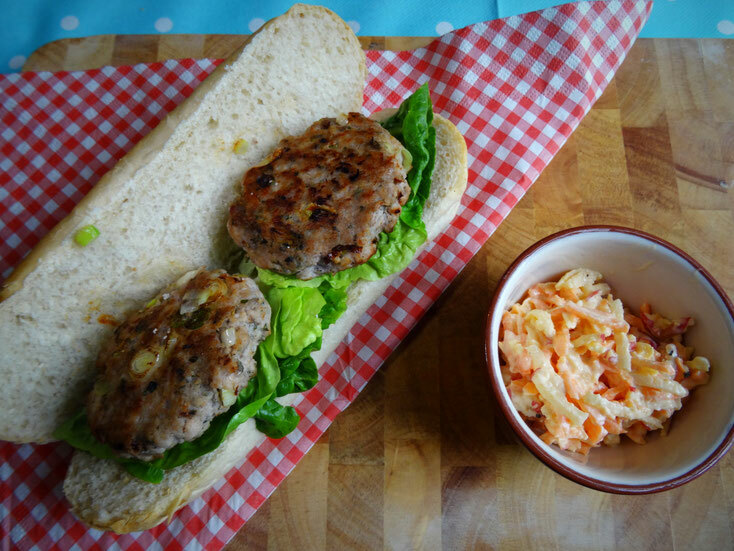 The slaw is nice & easy too & makes a fresh & crunchy contrast to the patties. 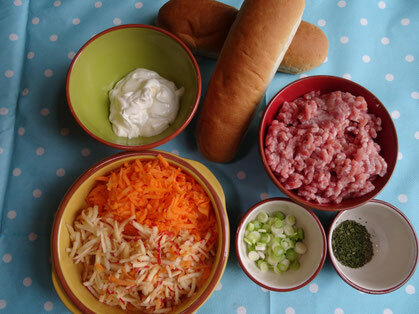 Serves 4 Approx 82p per person for the Pork Subs & 25p per person for the slaw. 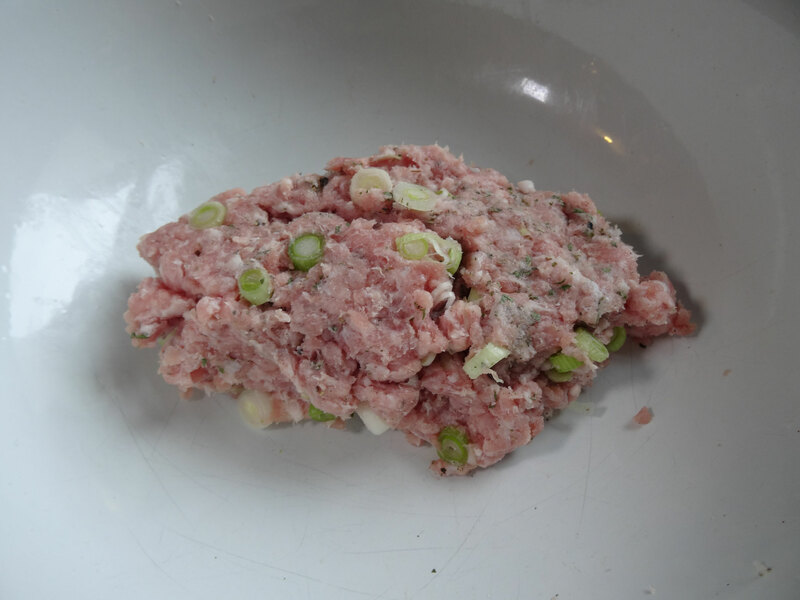 Place the pork mince in a large bowl with the spring onion, herbs & seasoning. Mix together well with your hands. 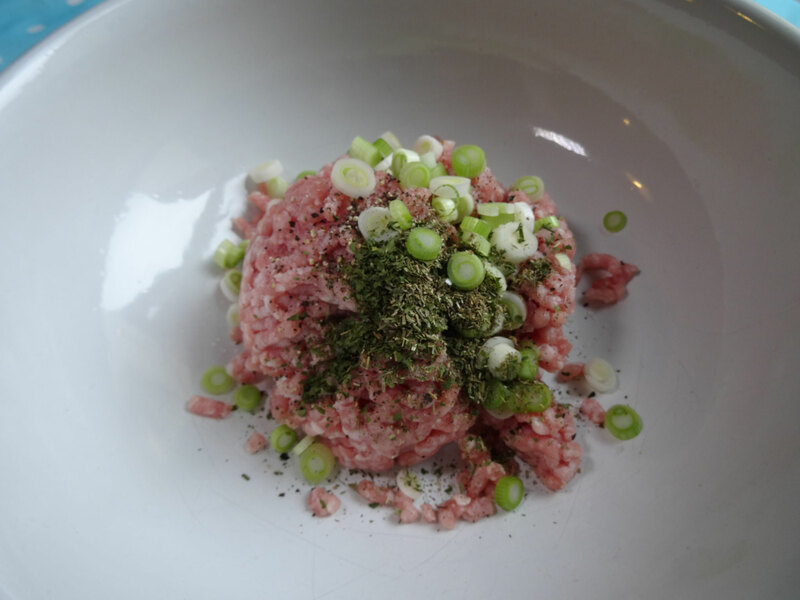 Divide the mixture into 8 equal portions. Roll each one into a ball then press them flat between your palms, you want them to be about 1-1.5cm thick. Place the patties on to a tray or plate, cover with cling film & pop them in the fridge to chill & firm up for about 30 minutes. In the meantime make the slaw. 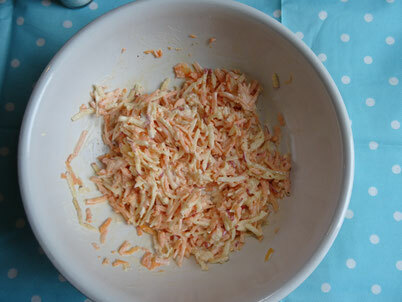 Put the carrot, apple, mayo & creme fraiche into a large bowl with some seasoning & mix everything together well. 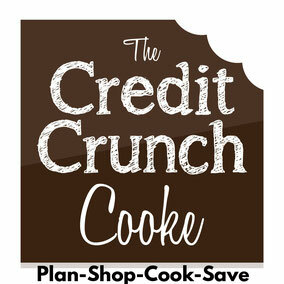 Transfer to an airtight container & place in the fridge until ready to serve. To cook the patties put 1 tbsp of oil in a large frying pan over a medium heat. Cook 4 patties at a time to avoid overcrowding the pan. Cook for about 4 minutes each side turning regularly. Serve 2 patties to a sub roll & top with the slaw.